Recently I was asked to give a talk to my church’s moms group about tips for hiking with children and nature engagement. I believe that instilling my children with a love of the natural world is one of the best gifts I can give them as a mom–we have an established family rhythm that includes time spent in nature as a priority for all of us. 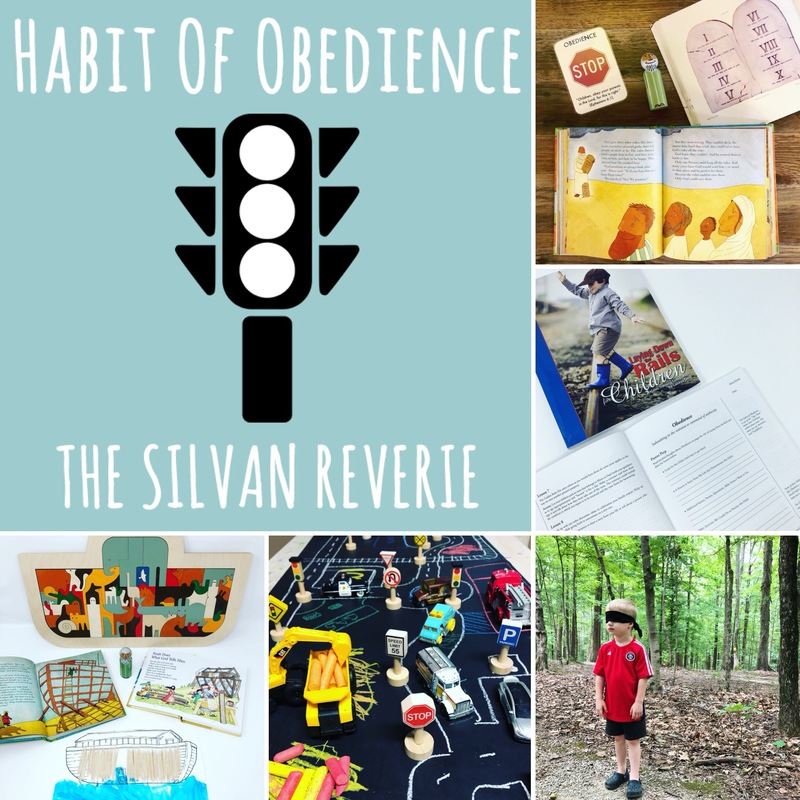 I will be sharing personal tips but also lots of resources and have a large picture book list at the end of this post, with referral links included. Don’t try to do a 6 mile strenuous hike on your first adventure with kids, and definitely not if you have a baby with you and/or a resistant-to-hiking kiddo (or kiddos!). There’s nothing wrong with a short hike well-enjoyed. There’s also much to be said for staying local, staying close to home, and even in your own neighborhood. Don’t feel like you have to drive an hour away to get some amazing hiking adventure in. 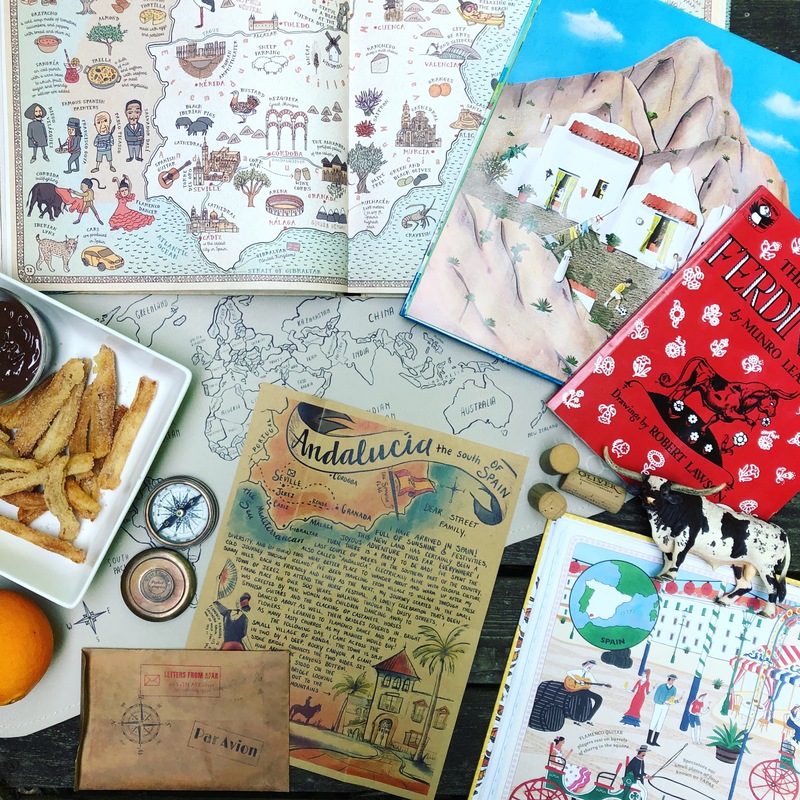 One of my favorite naturalists, Wendell Berry, has said “If you don’t know where you’re from, you’ll have a hard time saying where you’re going.” Get to know deeply where you are from, get to know deeply what is around you. Cherish time spent nearby and save yourself the car time. And … repeat the same simple hikes over and over with your kids! Do the same hike throughout seasonal changes (if you have them) and observe what changes occur. Let your kids take ownership and lead the way once they are familiar with the trail. Go to Nature Centers or Visitor Centers! Also, be sure to check the website of the place you plan to visit. Often they list helpful information for nature studies–for example, what wildflowers are currently in bloom. Websites will also have specific safety tips for that area you will want to be mindful of. If you are going to a National Park or somewhere with a lot of trail options, take the time to investigate those trails in advance–often you can find websites that will give good detail on family-friendly hikes. You can know in advance what to expect on a given trail and prepare your kids for potential highlights (e.g. a waterfall, a cave, or an arch). Sometimes we legitimately get tired legs or are hungry or sleepy … but sometimes the desire to NOT hike can just be a matter of a mental block. You’re too much in your head. I’m going to share some tricks we use with our kids when those moments occur. Note that many of these tricks are things my husband does with adults when he leads backpacking trips! “We’re almost there” is the vaguest expression ever, but IT WORKS! If you’re all feeling a little tired and like you’re not going to make it, just anyone saying “We’re almost there!” can be the psychological help your kids and you need to keep going. Talk. What about?? Anything!!! Just talking to your kids about literally anything can help get their minds off of the my-legs-are-tired funk. I will often play “quiet game” with my kids where I just say, “STOP, quiet game!” and they know to stand still and be quiet and listen. After a little bit we talk about what we are hearing. This is where your research pays off: what’s something your child will be excited about seeing further down the trail? Talk about reaching that point and encourage them to keep moving. You’ll have to figure it out on that trail on that particular day how to find a balance between (a) being present to your surroundings & slowly observing the natural world and (b) actually hiking and moving forward to your destination. This “groove” will likely be different every time you hike! You have to go with the flow. Sometimes you will want to hike further than is appropriate for your kids on that day at that particular location. Be flexible and try to quit before you all get to the point where you are totally exhausted and cranky and may not want to repeat another hike. The reality with hiking for parents is that you are probably going to be carrying your kids in some fashion for at least some of the time if not all of the time. Maybe you have a baby in a small carrier or a toddler in a hiking backpack or your normally-great-hiker of a kid decides he just cannot walk the last quarter mile back to the car. SO, given that, you don’t also want to be bogged down with a ton of gear in your backpack. Keep the “stuff” to a minimum. But, on the flip-side: don’t be the person that heads out on the trail totally unprepared. Right now with our 4 and 2 year old we have our 4 year old hike the whole way (with minimal carrying if needed for encouragement or over a particularly tricky or strenuous area). The 2 year old rides in our hiking backpack and we let her hike if she’s interested but don’t force it. We often stop for at least one snack & water break and let her get out of the backpack and explore at that point. In my opinion, a good hiking backpack is not something to go budget on—the cheaper options are cheap for a reason. It is worth the money for the sake of your personal comfort (and sanity) while hiking! Trekking poles or find a walking stick. We have extendable trekking poles so if my kids don’t feel like using them, I can adjust it back to my height and then I get to have a turn. It does work just fine to use only one trekking pole at a time, so right now we own only one pair for the 4 of us. Change of clothes if you plan on getting wet or muddy (and you should plan on it!). I usually don’t bother with a towel for the hike itself — though you could bring a compact camping towel pretty easily! More water and more snacks! And when I had a baby and a toddler (my kids are 19 months apart) and wanted to do a nature walk with just me and the two of them??? — I wore the baby and pushed my son (a toddler) in the stroller and encouraged him to walk when he could. As he got better and better at walking, I transitioned to going places where I could still wear my youngest in a carrier and let my son hike [to help transition to non-stroller hikes]. We kept it less than a mile for sure to build confidence, and I didn’t want to be in a situation where I’d have to carry both kids! We gradually worked up to longer hikes, and now my son can make it several miles without being carried. Go for weekly or bi-weekly hikes as a part of your built-in family time. Or, share the fun and spend the hike with friends! Children hiking with other children in a variety of age groups can be so special: being in nature levels the playing field. No one has to fight over the same toy or feel left out if they aren’t “big enough” — everyone can grab a good stick, stomp in the same creek, and run free! Also, the kids that are better hikers can help in a huge way to encourage the younger kids that may not be so great at it yet. Your child may be better encouraged by an older friend than they are by you. One rule I set for my kids in the deep woods: stay on the trail unless you are with us and we say it is okay. Around us there is poison ivy right at my kid’s eye level. We do go off-trail but they are right with us at those points and it’s usually not in the summer. At National Parks you are not allowed to go off trail. Another rule I might establish for the day — don’t get wet … yet. We recently went on a several mile hike up a mountain in the Smokies and on the way up the mountain (at the beginning of our hike) I told my kids not to get in the water at all and that we were going to do that on the way back down. I did not want them starting the hike out with water-logged shoes & wet shorts that were going to be bothering them the whole hike. On the way back, closer to the end of the trail, we let them get wet to their heart’s content. If you have older kids you’ll probably want to set some boundaries as far as how far ahead they can go without you on a trail. For example, stay within hearing distance: if they can’t hear you they have gone too far. Check safety warnings at your location before you set out — there could be important information to know regarding creature dangers or bad weather or trail hazards. Are there rules at your location that you need to follow regarding picking flowers or taking rocks? National Parks are very stringent regarding collecting nature items or going off-trail. Smaller natural areas like your local nature preserve may not be so stringent (but no doubt have rules in place). The At Home Podcast has this absolutely wonderful episode entitled Hands-On Nature that deals with this very subject. It’s worth listening to and forming a set of guidelines for your family based on what you feel is appropriate. A lot can be said about camping, but I’ll just leave it simple: camping can be such a wonderful family adventure! The best way to learn how to do it with your family is to just try it out and learn from that first experience (probably filled with lots of mistakes) to help make the next camping experience even better! Learn by doing. You don’t have to do backcountry camping–start out car camping if you’ve never done it but would like to. FYI — I have a whole blog post on Camping activities for Preschool for inspiration and fun (which can be done at home). If camping adventures seem too much to tackle right now, just set up a tent in your yard and pretend! My kids went NUTS this summer when we set up the tent in the yard for a week — so much fun and we didn’t have to pack any gear up. Remember: the best teachers in the world say “I don’t know.” You do not have to know all of the trees, bird, flowers, etc. that you see on a hike. You just have to be interested. 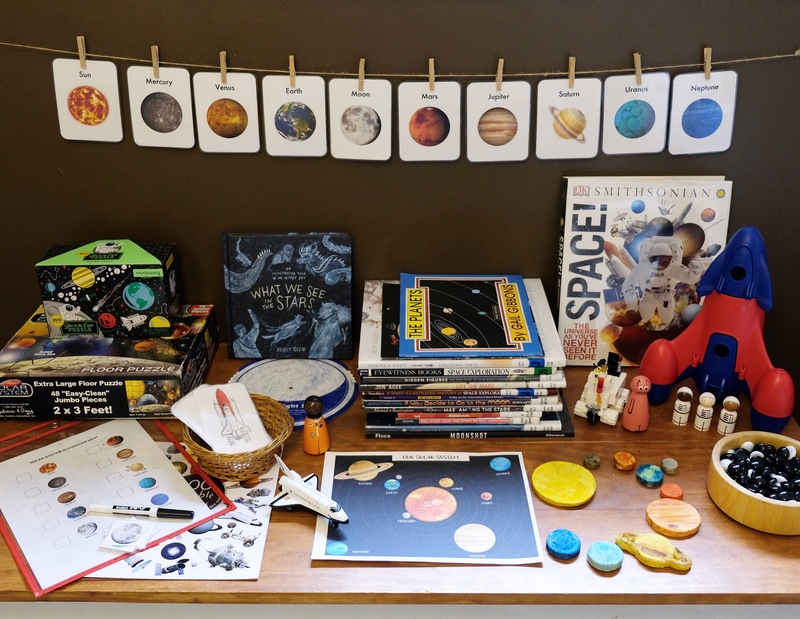 Display a sense of wonder at the infinite possibilities for discovery in nature, and that interest will rub off on your kids. I have a 4 year old and 2 year old and both can correctly ID a few trees by bark or leaves, several wildflowers, and several birds (some by sound). How? Learn by being immersed in nature. This doesn’t mean intense and long hikes: just be outside and observe what is happening in the natural world. For birds, at home I let my kids use our Sibley postcards as flashcards. We also just bought my son this awesome bird song ID book. 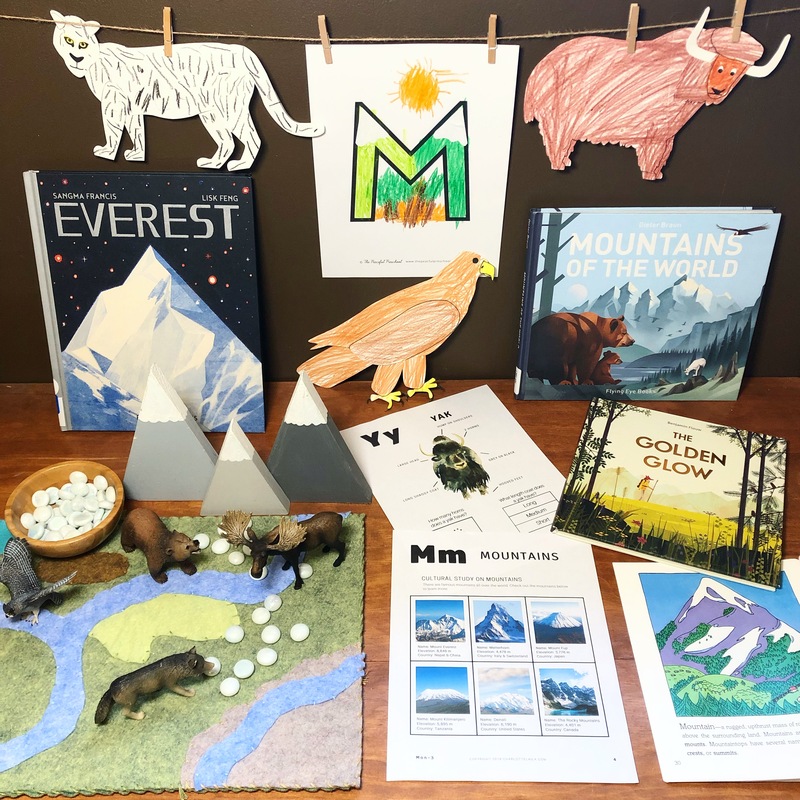 We connect dots between our at-home learning and what we see in the wild. For another example of some hands-on learning + play, we have these animal track rocks and use them in play dough a lot. I created a real-life 3-Part Card set to go with these rocks — if interested you can have that PDF here. When feasible, let your kids handle (or gently touch if rare or fragile) the items you are learning about. I do not expect my 4 year old to learn a new leaf or a new tree if we discuss it one time. I wouldn’t expect that for myself or any adult! If we are discussing a particular tree, for example, I point it out day after day on our hikes, in different ways in different settings (e.g. I’ll pick up a leaf one day, point out the bark another day, find a fruit or flower another day). I don’t break out the ENTIRE tree guide or overwhelm the kids by naming every tree we see on our hike. So, instead, I’ll focus on maybe one or two trees at a time. For wildflowers, this past spring I created a one-page printout of maybe 15 wildflowers I knew that we would see where we live. We made it in to a scavenger hunt and crossed of the flowers when we saw them. We’d focus on finding one or two on a given hike. Obviously for older kids than mine you’ll have more opportunity to go more in depth here. Hopefully you will get to a point where your kids will be able to ID many more birds and trees and flowers than you know and get to inform you what they are on your hikes! I look forward to the day when my kids know more than me! We also have some guides that are specific to Indiana that are very helpful! Eventually I will include my children in this in a more purposeful way. For now I share with them what I’m doing, and enlist their help in creating memories for me to journal. I have been extremely grateful to have purchased the Curiosities: The Guide ebook by Angie Warren. This has been a great source of inspiration to get my collection in order and not just sitting in a bin where none of us can enjoy it. It has also inspired me to start collecting things I never knew I wanted like small animal bones or dead insects! 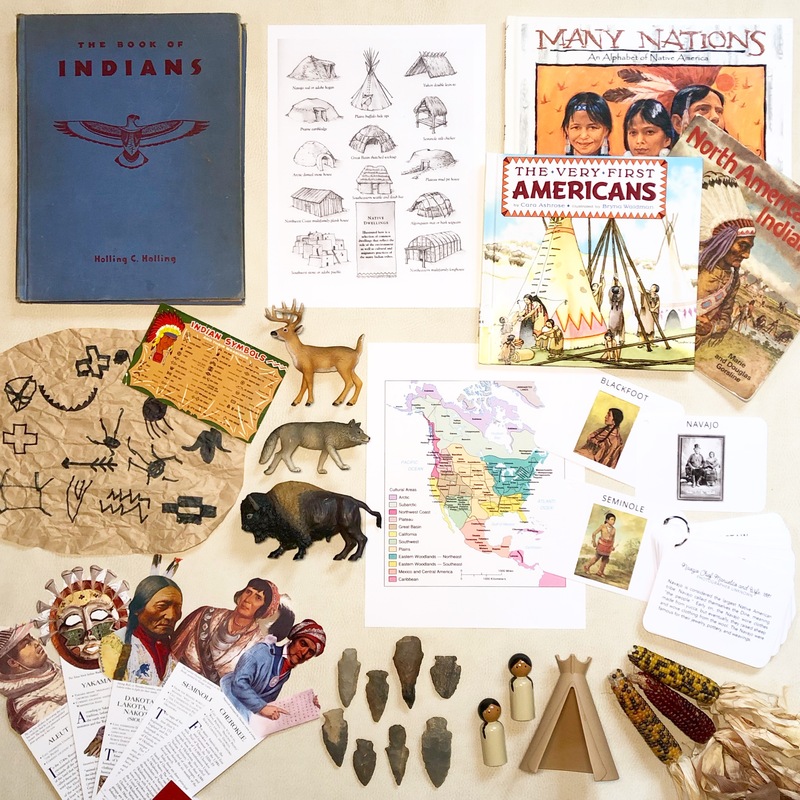 Curiosities: The Guide has an excellent book and resource list which I will not copy here, but I did want to share the few books that I have perused this year that have helped inspire me to build our own family’s cabinet of curiosities using all of our nature finds. When we go out in nature now, my kids are all-in for collecting items. They get so excited and love it (we call anything we find “nature treasure”). I’m planning to get each of them a tea box to store their own personal treasures in. Of course: we do not take everything! We are definitely thoughtful about it as we curate our own family collection. For me, the items collected are not just items: they are memories. I don’t just want random things that look cool: I want the treasures that remind all of us of our family story. With a 4 and a 2 year old we cannot do a lot of handcrafts quite yet because I want their fine motor skills to develop more in practical ways (e.g. 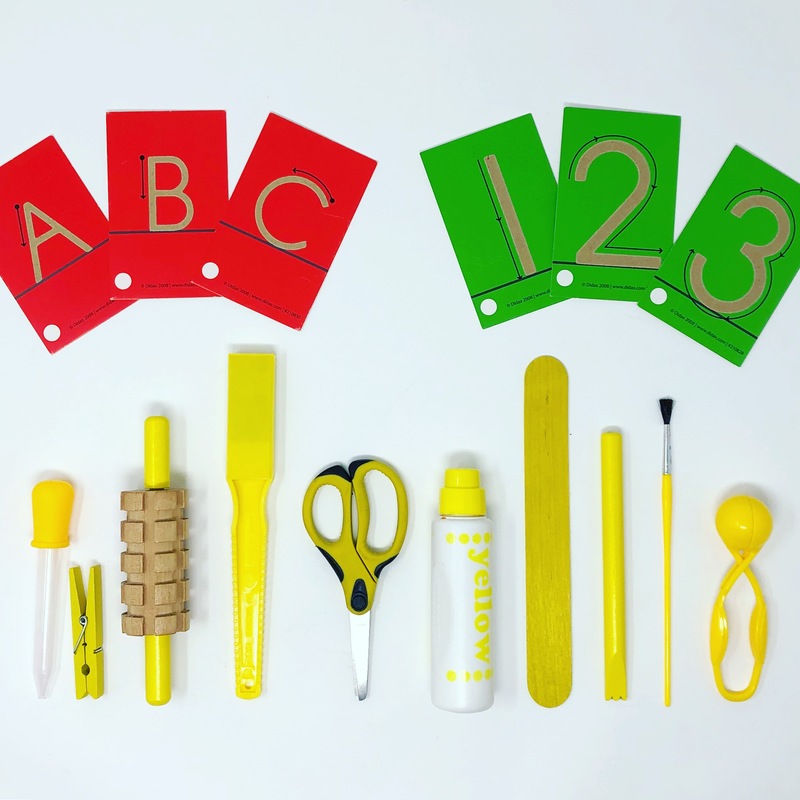 pencil grip & scissor skills), but there definitely are some simpler handcraft options out there with adult-supervised help that kids their age can really enjoy. My goal has been to include natural materials in to our crafting and arts projects in a variety of ways—it can be a way to extend the outdoor experience to the indoors. We can collect something one day that we use a few days later to make something: the kids are then a part of the whole process and (hopefully) are growing a love for the *process* of making things. This is the bin of loose nature parts I keep available for play indoors and outdoors. It’s a repurposed cutlery tray. We most often use this when playing with play dough, but we also use it when playing in an outdoor “mud kitchen” or “water kitchen” — tree parts and rocks become pretend food. The possibilities are endless. Foraging can be daunting (and a bit scary) if you’ve never done it. If you are interested, I suggest finding someone who knows wild edibles to hike with you! There are excellent field guides available and tips online but I do think it can help to have a person who knows wild edibles to teach you experientially. We keep it pretty basic with our kids at their ages because I don’t want them thinking everything they find is edible! We always hunt for morel mushrooms in the spring time, a popular and easy to identify wild edible … though not so easy to actually find. We also tap Sugar Maple trees in the winter and make our own maple syrup. This has been so much fun to do with the kids and it’s something I look forward to every winter. It can be a time investment to actually cook the sap in to syrup (it’s a 40:1 volume ratio to cook it down) but we usually build a fire and make an outdoor day of it! I will say that tapping maple trees seems like a lot of work BUT once you do it one time, you’ll be more equipped to do it again and again. If you want specific details on what supplies we use, send me an email and I’ll get you the info! If you don’t feel like making your own syrup or don’t have Sugar Maple trees nearby, attend a Maple Syrup Festival! Please visit this page for multiple book lists of nature-inspired stories! The Charlotte Mason Companion by Karen Andreola has a great section on Nature Study for those that live in the city!